A great landscape begins with a great landscape design. At Kern Landscaping, our designers work with you to develop a vision for your property that reflects your needs and style. Moreover, it’s our goal to ensure the design can be brought to life within your budget. 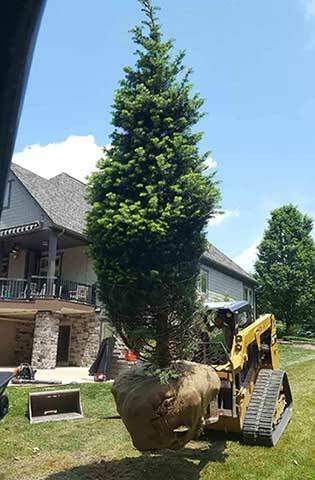 From small, residential projects to complete commercial landscape designs, our goal is your complete satisfaction as we make your landscape come alive. From the initial consultation, our creative designers begin to envision your plan. The design process begins with a conceptual design phase and then proceeds to a final design, identifying specific features, plant materials, garden structures and more. Along with the final designs is the preparation of construction and installation costs for the project. Once the design process is complete, the exciting transformation of your landscape takes place. Every detail of implementation from start to finish is managed by our highly trained production staff. Throughout the process, client involvement is encouraged to ensure the final design reflects your vision. While a start-to-finish project is ideal, some clients choose to approach the construction in phases. We want to make your vision a reality, in any way possible.